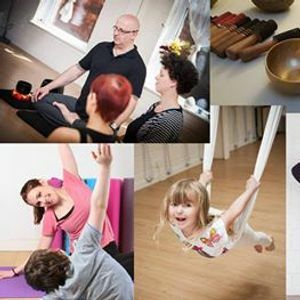 Maitri Studio is hosting an open day with free events for the public to try something new as part of Belfast Strategic Partnership’s Festival of Learning week. 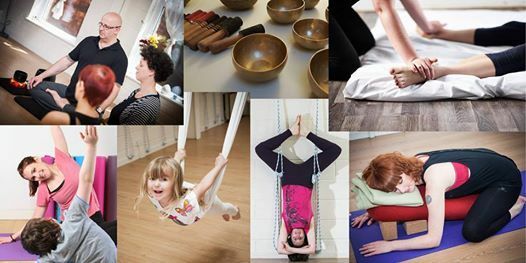 The taster sessions will include examples of the classes we offer at Maitri Studio, including different styles of yoga (including with ropes and hammocks), pilates, a sound bath, mindfulness and more. The event will have a festival spirit and is open to all - we hope we've managed to put something on for everyone. It's also Maitri Studio's 5th birthday, so there might even be cake! Learners will have the chance to try a new hobby: all of the classes we run involve personal wellbeing through movement or meditation. There’s nothing like giving it a go to find out whether you like it or not! 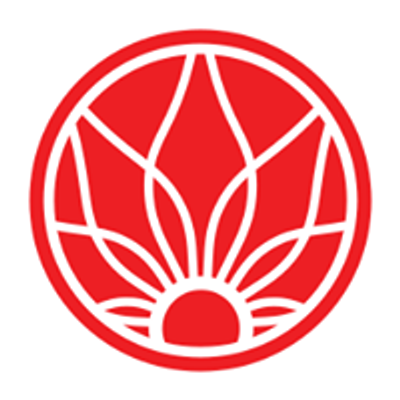 All classes are taught by experienced teachers. You can book classes online through our calendar and by telephone 028 9099 2428 or email aW5mbyB8IG1haXRyaXN0dWRpbyAhIG5ldA==. One exception to this is the taster 1:1 special yoga sessions with Tory Campbell. Special Yoga has become the international term used to describe yoga for people with a variety of additional needs including autism, ADHD, Cerebral Palsy, Down's Syndrome, learning disability/ difficulties, PMLD, complex needs and other physical challenges. Get in touch with Tory for more details or to book: aW5mbyB8IHNoaW5lc3BlY2lhbHlvZ2EgISBjb20= or 07789 726696. There are likely to be some extra places in most classes on the day, due to non-attendance, and there are free mini reiki treatments too. Help yourself to free tea/coffee/juice and there there is a pop-up café for you to buy lunch and snacks from vegetarian/vegan caters Live Deliciously Belfast. This year we will pick names out of a hat for the 30 minute treatment sessions. If you'd like to be in with a chance you need to email us with your contact details (or like and share our Facebook post) by Sunday 3rd March. We will make the draw on Monday 4th March. If you're unlucky in the draw never mind, as there will be free mini-treatments on the day! Keep an eye on our Facebook, Instagram and Twitter for announcements and any timetable updates. The full festival programme, including events all over Belfast, will be available online after the official launch on 19 February.